BTW, he offered me to test them and compare em with simped vario and saiteks but I didnt have time so other guy from my town took em on test and compared them with his F16 simpeds....he said these are better than simpeds....As Milan told us he is considering to go in production (maybe to have a small workshop like mr Hofmann had). Last edited by Tvrdi; Jul-09-2013 at 17:28. It looks very, very good! yep...the thing is MFG pedals are more durable than anything on the market (russian VKBs mayb,e are of same quality) and are probably the most adjustable. 250 euros (330 bucks) he said if I rem right...plus shipping etc ofcourse...Will ask him again..
Wow. They look absolutely fantastic. Quality counts. Very nice indeed. Last edited by Tvrdi; Jul-10-2013 at 05:43. Wow - that is awesome. And he's only asking $300 or so? That is a steal for that type of quality. I'll be in line to buy some as well! I am currently testing this brand new model vs. my Simped F16, and can tell you that I prefer the MSG Crosswind pedals. They can be set up to represent the spring action on Simpeds (linear stiffness), and at the same time (my and builder's preference) to a more exponential setting (similar to what sim racers do to their brake pedals). This translates into much higher fidelity, as brain memorizes a required force much better than distance. All thanks to different cam profiles and modular lever settings on which the spring is attached to. Simpeds on the the other hand have a very distinct center (more of a bump). Because of this MFG Crosswing pedals allow for a more responsive maneuvers that require fast switching from one side to another. The center is there and you can feel it accurately, but it doesn't feel like crossing over a bump. Pedals will ship with two cam profiles, we are now in the process of selecting the best ones out of five the builder has sent us. I will be forwarding them to two more testers (as of now) once the review is complete. The toe brakes are a story for themselves, and so is the crazy level or ergonomics which was IMHO Simped's (F16 model at least) biggest flaw. More on that when I put together a YT review and comparison. 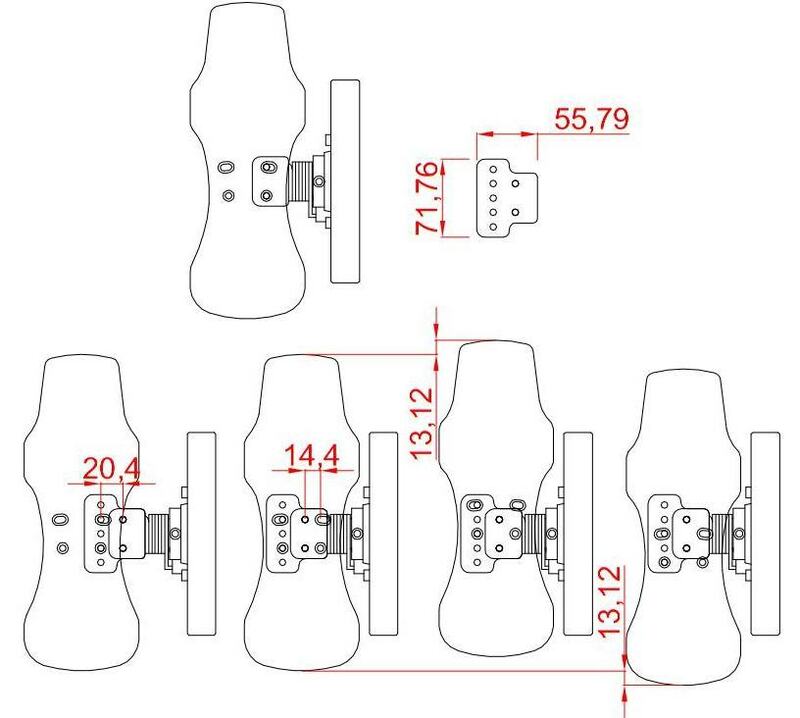 Update: With aditional plate it is possible to do a small adjustment in width and hight. Last edited by Tvrdi; Jul-11-2013 at 10:17. I was looking at these and found this post... I am actually thinking of saving to get a set of these.. I have had my current Saiteks for about 4 years now.. and if I was going to drop this kind of $$$ for some pedals these are the ones I would get..
Yeah - these look incredible, especially for the price. I have CH pedals now, and they have never given me problems, but they are very narrow. These pedals look like works of art. 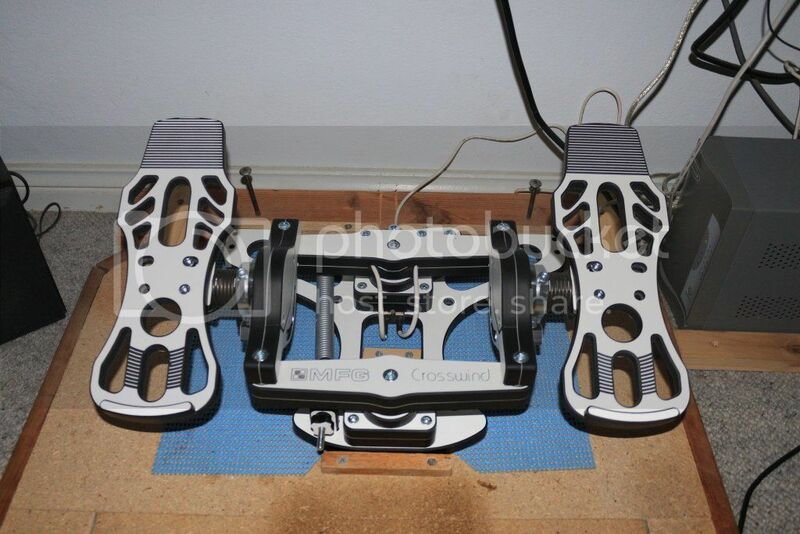 They are amazing looking pedals. I too use the CH Pro pedals with my Logitech G940 stick and throttle (Thanks Dutch!). Agree Bliss that the only complaint is the width. My clodhoppers have to be in trainers or socks. I'm going to see if I can get me a set. My MFG pedals arrived yesterday in good order. Workmanship and engineering is impeccable. Assembly was minimal, fix pedals,connect Brake wires to snap in fittings, attach USB chord, Attach spring. All took about 10mins max. Connected to PC and all was well. Did a basic Win 7 Calibration on them. Then using a supplied utility did a specific Brake calibration. Fired up DCS P51D. 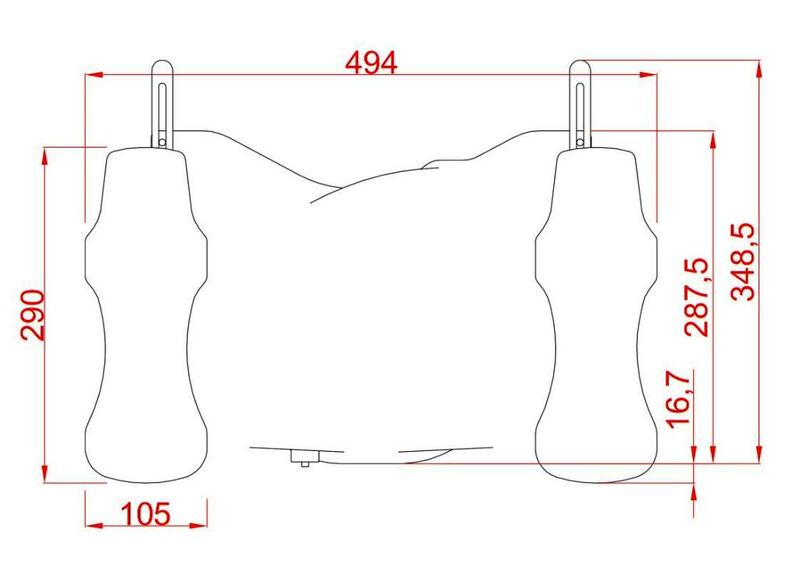 New controller shown in options as Simunda MFG. Set DZ at 10 , Curvature at 35. Absolutely stunning, Smooth progressive Differential brakes, Absolutely smooth Rudder application. Yet to test the other 2 centering cams that came with them. Cam changing about a 5 min job. So far so good .... Easily the best rudder pedals I have used on a PC. only issue I had was figuring out where Win7 hides the calibration panel ! Here is the way to it for future refrence. In the little Search box type in "Game"
then you will see the Setup USB game controller option. My "pit" is on a large piece of Chipboard. To attach pedals to the Floor I cut 2 small bits of wood and MDF. The rear section to prevent rearward movement. The centre piece to prevent lateral movement. these 2 pieces working together effectively lock the pedals in place. 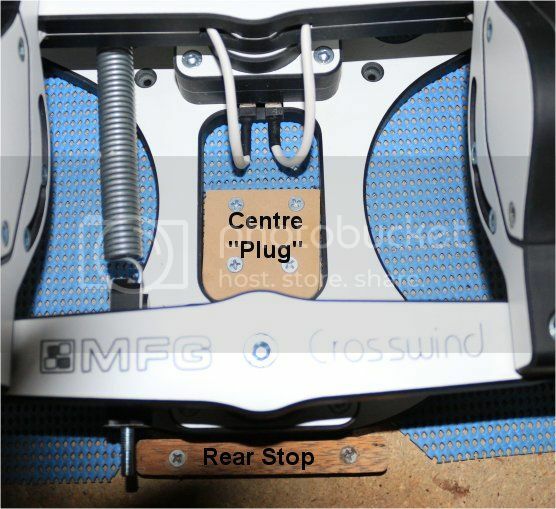 There was no tendancy for the pedals to rise with aggressive use and or brake application. The anti slip mat under the pedals is probably not required. I chose this method rather than physically attaching the pedal base to the wood with screws. 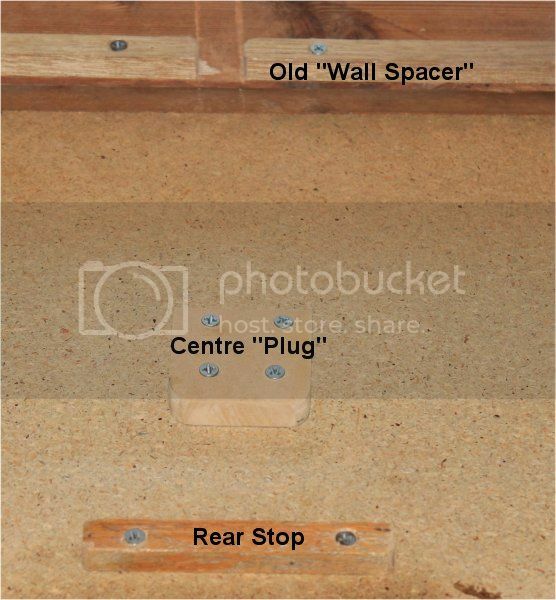 I had no need for the wall spacers as a already had a "Wall spacer" arrangement in place for my previous pedals. What was the actual price of the pedals? 262Euro + Post and Pack. IvanK, first of all, congrats for your purchase and many thanks for the detailed installation and tricks guide. As a future buyer, I would kindly ask you to solve my only doubt: after watching the videos and the MFG website it's still unclear to me what material are Crosswind rudders made of? I've used in my job 18/20 mm. plastic film covered MD wood fiber panels with plastic covered edges. It is a pretty hard and resistant material, ideal for heavy duty tasks, like standing our kicks when dogfighting. And Crosswind main components look like that to me. You know, curiosity killed the cat. Am I right? Thank you. This is my first post here. Tvrdi and IvanK pointed me on this thread and lot of people interested so I decided to register and be there if you need info. It looks like many of you are interested and need some info. My name is Milan, I am a builder of MFG Crosswind, you can find me on forums as "Milan_Croatia" and "meanstreak-2" on ROF forum. I kind of made SimHQ thread my home...since I started it all there...and It is simplier for me to point people on one place where they can find all info they might be interested. For final details from page 12 is a good reading. For people wanting to know more...I wrote a lot...and you can see many improvements made over time, as well as technical details and why I did what I did with my pedals. My homepage...there is also a gallery now, all features etc. Material is composite. Closest thing you might be familiar with is HPL - High pressure laminate. There are various types of this material and Final specs I will not give...simply to keep someone from copying my design. In general HPL is made by putting layers of paper and glue and hot pressing it together with 600 tons of pressure or more. What is not general here is glue ammount, paper orientation in cross 45 degree ( like carbon fiber) etc. Material can be mostly compared to Bakelite. It has a solid black core, and white surface is thin layer...in future it maybe won't be white. In greater quantities I could order grey for example - which is what I would like to see my pedals colored grey/black. Bakelite was made by glueing cotton with phenolic resign - so it's not identical. Approx mechanical characteristic is 30% weaker on impact than aluminium. I compensated that with thickness. Again - final thickness can be measured by my customers, but I prefer not to go public with that info, again, afraid of someone copying my design and using a lot of my engineering work for free. All you need to know is that it's more then enough thick,sturdy and tested on a long term use. It does not conduct electricity and it does not have magnetic interference to sensors like metal has. I am currently in arrangement for a second preorder process. After that there will be some price increase ( as I wrote about it on Simhq). So anyone intrested in preorder send an e-mail to mfg@simundza.com to get full info. Those pedals look sweet! DCS P51D was an excellent testbed to try them! Hi Milan, that was a quick answer, thanks a lot. I guess I know the material you are talking about. We call it here MDF, medium density fibreboard. Tough as it can be. You have already done it for sure, but an intellectual property agent could help you to protect your product. I guess 3.000€ will suffice for a two years protection until you make up yourself upon going any further [other countries, etc.]. So MDF -for wall covering, kitchen doors, part of multilayered flooring etc...but not for pedals. HPL is much stronger and better material in it's ordinary shape...and mine is more than that. Sorry, my bad. I only wanted to know before pre-ordering but failed my aim. HPL must then be the laminated, scratch, impact and wear resistant material that covers the MDF to isolate it from humidity and colour it. So it's 30 times tougher and resistant than I thought. Best choice possible. P. S. BTW, Formica is the most important HPL brand in my country and their laminates are legendary for its longevity. Last edited by AA_Engadin; Aug-30-2013 at 15:19. It's normaly used in 0,8 mm thick sheet to cover MDF or plywood to add up impact and scratch resistance, chemical resistance. Pre-ordered my set, $395.50 to the US. I closed 2nd preordering process and I put some news on my web so take a look for info. Onfortunately I think some of my mail with preorder offer ended in spam filters becouse some interested people didn't respond at all. I did respond to all e-mails I recived. Last edited by Milan MFG; Sep-06-2013 at 11:20. If I ever consider buying this (for now I'm satisfied with my Saitek Pro Flight Combat pedals), any way I could hop over to you and pick them up personally, avoid postage and paypal fees?